As bilateral relations deteriorated over 2018, Chinese and Americans searched for new analogies to frame a more adversarial relationship. Asian op-eds and American leadership vied to christen the post-engagement era. Hank Paulson warned of an “economic Iron Curtain.” The latest National Security Strategy branded the relationship as a “rivalry.” But the Cold War is the most prominent analogy in both the U.S. and Chinese discourses. New Cold War and Cold War 2.0 are common variants on the theme. Chinese spokespeople say that American suspicions of China’s intentions reflect a Cold War mentality. When and whether to describe the relationship as a Cold War is a consequential decision that should not be left to headline-writers. 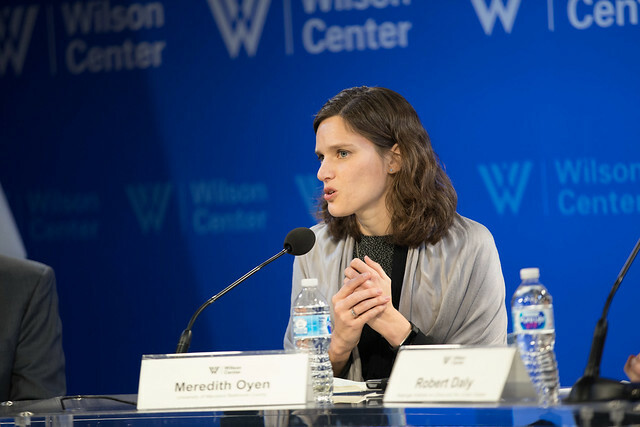 The Wilson Center’s Kissinger Institute and History and Public Policy Program hosted an informal discussion of Cold War rhetoric and the trends and events that drove bilateral relations in 2018. "I wonder whether… we’re going to look back on this year, on 2018 in general, as the year of the start of the clear-eyed reckoning – when we began to understand where China, under Xi Jinping, was actually going, and with it, U.S.-China relations." "I don’t necessarily accept the premise that this is a new Cold War, but what I think [those who use this characterization] are trying to point to, what feels different, [is] they’re trying to highlight an idea that there is something longer-term afoot – that we are looking at a status quo of competition or an ongoing rivalry that they see lasting for decades... There's no longer a sense that you ride out Xi Jinping's tenure in office, that after ten years or so you move on to somebody else, or you just ride out President Trump. There’s a sense that there’s something longer-term and more fundamental happening."